Sleep apnea is one of the worst types of sleep disorders that not only entails short term distress, but many of its long term consequences are life-threatening. There are three types of sleep apnea: obstructive, central and complex. It essentially results in repeated involuntary cessations in breathing during sleep. The flow of air either stops or slows down because the air passage is either blocked, narrowed or has become floppy. Though all of them are essentially breathing-related sleep disorders, the causes of onset are different. 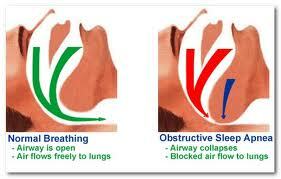 Of these three types, the obstructive sleep apnea is most common. Before we discuss the various causes of sleep apnea in detail let us quickly recapitulate what these conditions are all about. Obstructive sleep apnea affects more than 50% of those diagnosed with the condition. It is a condition marked by repeated pauses in breathing during sleep when all the muscles of the body are in a relaxed state, including those responsible for breathing. These are the muscles that keep the air passage open during sleep and allow air to flow into the lungs. The muscles of the upper throat are open during sleep to allow air to pass through. However, sleep apnea happens when the muscles in the back of the throat relax. What happens when the breathing muscles collapse? The breathing muscles offer support to the soft palate, the uvula (the soft triangular piece of tissue hanging from the soft palate), the tonsils and the tongue. When such muscles relax, the airway narrows or closes causing obstruction to normal airflow. This results in reduction in blood oxygen saturation because of reduced airflow through the air pipe. Such a drop in oxygen levels may cause breathing to stop temporarily. 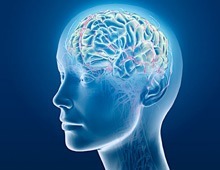 The brain reacts instantly by disturbing sleep and triggers breathing which starts with a gasp or choking. The narrowing of the air passage can be due to obstructions created by excess tissues in the airway, enlarged tonsils, large tongue; defective anatomical structures of the jaw, etc. Other than the respiratory tract, the obstruction can also be located in the nasal passage. When the muscles of the throat and tongue relax more than normal. The tongue and tonsils are large compared to the opening into the windpipe. Obesity is clearly one of the most critical triggers for the onset. When the breathing muscles are affected by obesity, they become weak and flaccid thus becoming vulnerable to collapse during sleep. The extra fat tissues thicken the wall of the windpipe, causing it to narrow and it becomes difficult to keep it open. This narrows the inside of the windpipe, which makes it harder to keep open. Over-relaxationof breathing muscles may also occur due to excessive alcohol consumption. Nasal blockage caused by anatomical defects like septal deviation, crooked bone at the bridge of the nose, enlarged tongue, misaligned jaw, etc. Nasal blockage can also be caused by common cold, allergies, sinus infections, etc. The shape of your head and neck could result in a smaller airway size in the mouth and throat area. Some medical conditions could result in this kind of sleep apnea. These include Down syndrome, glaucoma , tonsillitis, insomnia, pulmonary venous hypertension, etc. Medications responsible for triggering the condition are Survanta, Dormicum, Halotestin. This type of sleep apnea happens when the b rain temporarily ceases to send breathing signals to the muscles responsible for breathing. Thus there is no effort to breathe for brief periods. 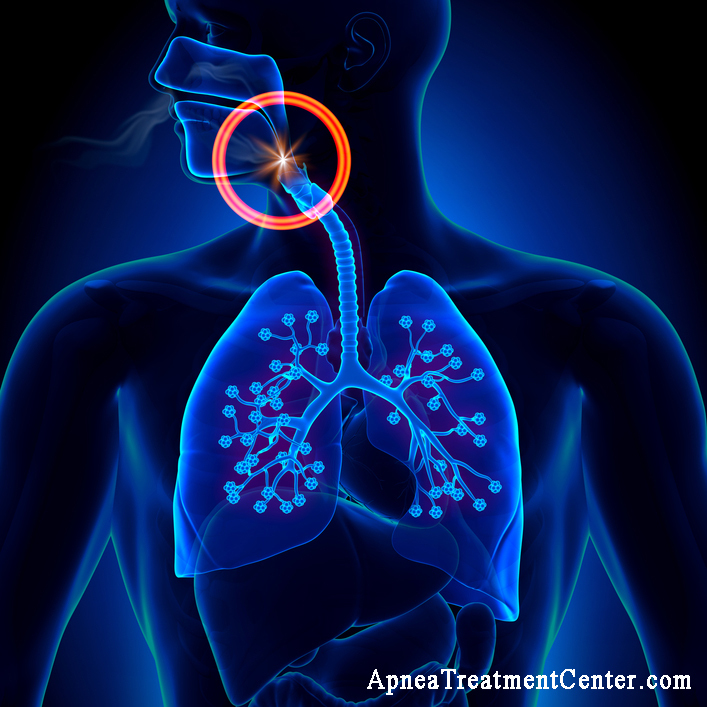 A less common type of sleep apnea, it has more to do with the central nervous system, rather than airway obstruction. The patient usually wakes up feeling shortness of breath and finds it difficult to go back to sleep or remain asleep. The most common cause for onset of this type of sleep apnea is heart failure and less commonly, stroke. Though it can affect anyone, it is mostly seen in people who have certain medical conditions or use certain medications. It can occur along with obstructive type or alone. Any life-threatening problem affecting the brainstem, which controls breathing. Becoming aware of the causes and the consequences of this dreadful ailment can go a long way in preventing the onset. Though there are plenty of treatment alternatives available for managing these two types of sleep apnea, some simple home remedies including lifestyle modifications can prevent further worsening of both obstructive as well as central sleep apnea. 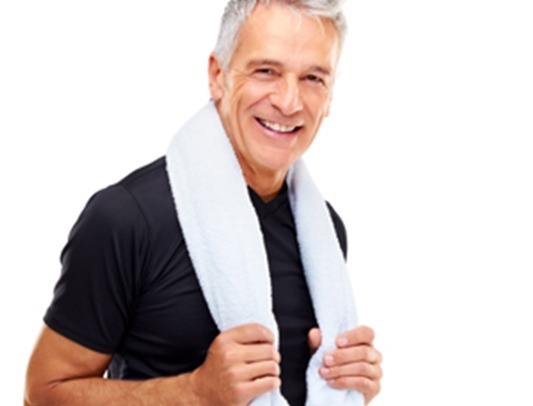 Do at least 30 minutes of brisk exercise every day. Avoid alcohol as well as tranquilizers and sleeping pills. Change your sleeping position (more on the side than on the back). Use nasal stray, etc to keep the nasal passage open at night. Stop smoking. Nicotine aggravates sleep apnea.